reviews on Facebook, Google & Yelp! We help you rent Austin. Then, we help you own it. Our apartment locating services are free. Because your money should be going towards tacos and yoga. Our job is to make this process not just easy for you, but fun. We spend our time and resources digging up the best apartment and starter home deals to make your life easy. Then, we help you save money on the back end with our Partner Perks. After all, you deserve an agent who speaks your language...and who has your back. An art, trade, or occupation requiring special skill. Quality, unique, small-batch. In today’s real estate market, it’s more important than ever to find an agent you can trust. We know Austin inside and out, which means we ensure you snag the best deal possible for a swanky urban apartment or the perfectly located starter home. With over 350 glowing reviews online, the people have spoken: working with us is a no-brainer. 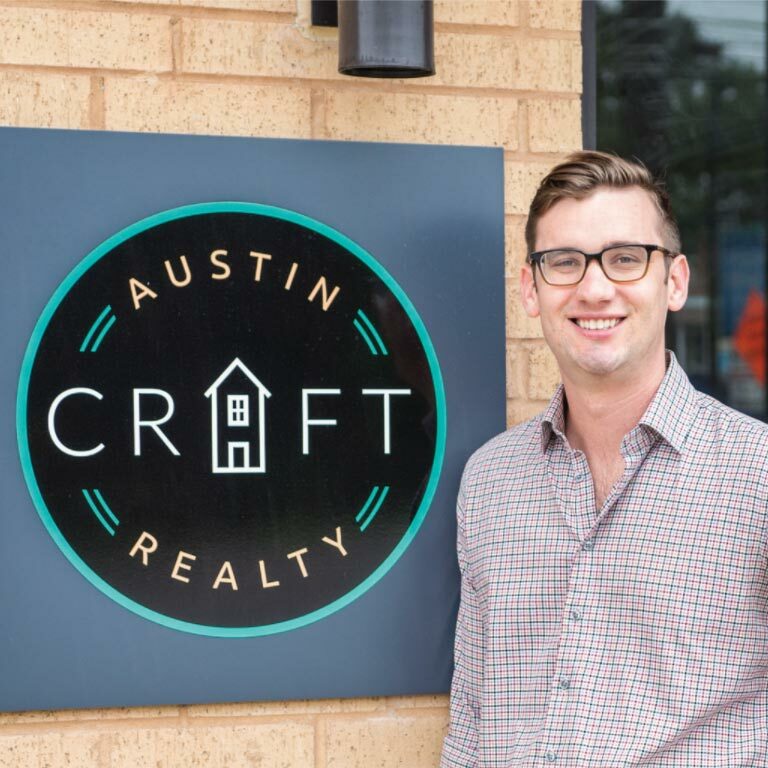 "Austin Craft Realty really was an amazing help for me in finding my apartment. Trent was extremely helpful and made sure that we found a place that fits my budget, but also has all the amenities that I wanted! There is no way that I could have done it without help." "Josh was incredibly helpful with my relocation to Austin and listened to all of my concerns and necessities when shopping for a new apartment. I can't recommend him and ACR enough!" Immaculately reclaimed Eastside Bungalow steps from the popular Launderette restaurant in East Austin's hip Holly neighborhood. Character-rich details, great yard with storage shed, doggies welcome! Our office has a fun, inviting vibe and boasts the walkability that we value as savvy young Austinites. Walk-ins are always welcome, so come on by to meet an agent today. Located in a new development that particularly appeals to millennials and the even younger Generation Z — The 704 on South Lamar Boulevard — Johnson is leveraging his knowledge of Austin’s urban apartment market to enhance residential sales.